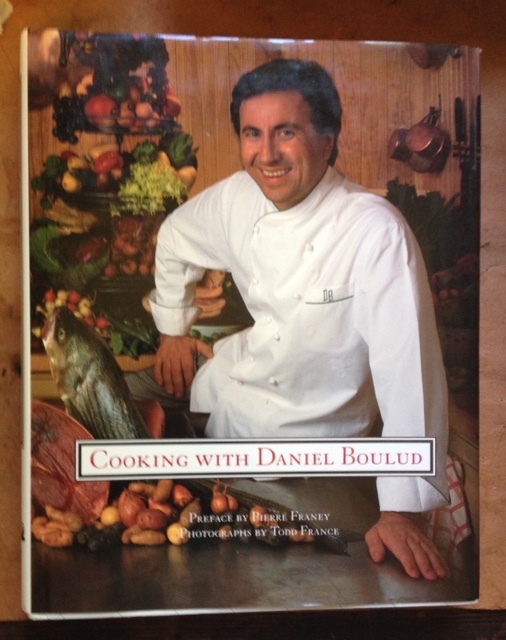 by Daniel Boulud, Random House, fourth printing, 1993. Heavy oversize hardback with DJ. Signed by Boulud on plate on FFEP. More than 200 recipes. Color photos throughout. The celebrated chef's first cookbook. The New York Times reaffirmed his restaurant Daniel's four-star status in January, 2009. As New/As New.